I had some days off this week and wanted to practice my long exposure skills. This was best possible with some local waterfall. The water flowing is just beautifully soft, while the bumpy rocks are solid. 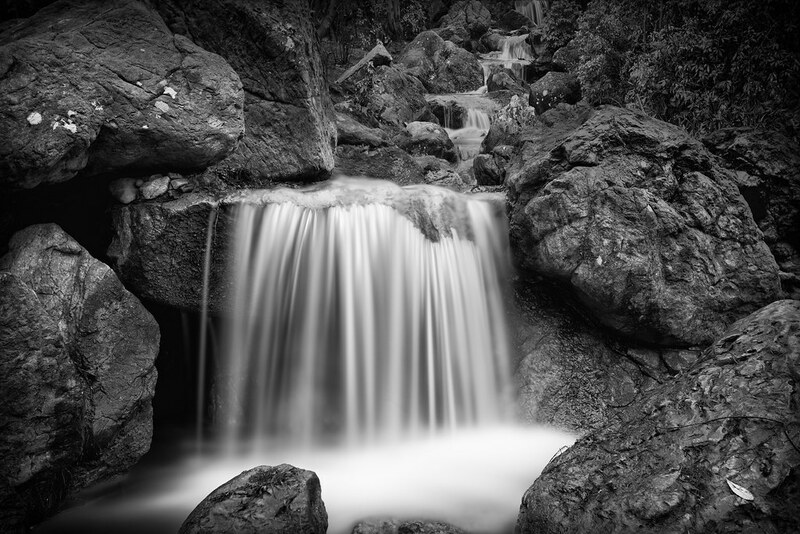 The effects used in the image, high structure B&W and long exposure, are reflecting the material in the scene. Already ten full weeks. Cheers!